Dontnod, developers behind games like Life is Strange and Vampyr, have released a trailer for their newest adventure game, the Bandai Namco-published Twin Mirror. We talked about it a bit a few months ago on the GI Show and wanted to see more of the Twin Peaks-inspired story from the French developers at Dontnod. At Paris Games Week, we finally got our wish with a new gameplay trailer, explaining a bit more about the game, to the point where actual metaphors and symbols are explained from the trailer's narration. You can check out the trailer below. 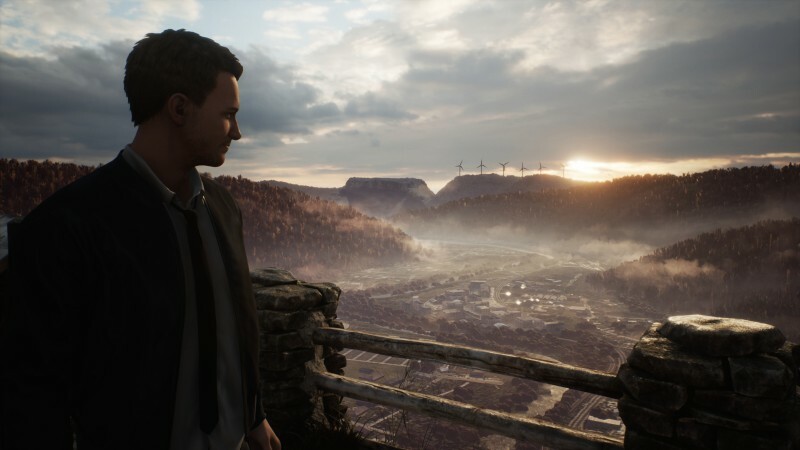 As you can see in the trailer, the gameplay has you reconstructing scenes based on half-forgotten memories and interacting with your internal monologue in multiple ways. There's also a very Life is Strange-style tone and tenor to the dialogue and the narrative, at this point fairly emblematic of Dontnod's writing. Twin Mirror is scheduled to release in 2019 on PlayStation 4, Xbox One, and PC.